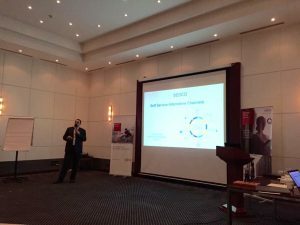 In cooperation with Fujitsu -its strategic partner in Egypt- SEDCO hosted the Digital Transformation Solutions Conference to elite businesses from 22nd to 24th February at Mövenpick hotel in Egypt. “In the digitalization era we live, it is always a big pleasure meeting our customers and introducing them to the most recent innovations in the world,” Sameh Lasheen, Head of Presales and Sales Operations in Fujitsu – Egypt stated. ICS Financial Systems Limited (ICSFS), the global leading provider of financial software solutions and services to banks and financial institutions, is pleased to announce the successful implementation of ICS BANKS® Finance Lease System at Al Etihad Leasing Company, a newly formed finance company owned by Bank al Etihad. Before selecting ICS BANKS Finance Lease System from ICSFS, Al Etihad Finance Leasing Company has evaluated other leasing solutions but decided to adopt the latest and bespoke developed application, with a partner that has a successful track record in providing and implementing finance lease system. ICS BANKS Finance Lease System is a web-based, end-to-end leasing system which provides comprehensive asset management functionalities that facilitate financial institutions by simplifying their business processes, and advance their proficiency. It also ensures customer acquisition, satisfaction and retention. ICS BANKS provides a complete suite of banking business modules with a rich sweep of functionality and features, addressing business needs and automating accounting processes, as needed, to improve a bank’s business performance. ICS BANKS has always been a pioneer in utilizing the latest technology to serve financial institutions. In addition to its embedded Service-Oriented-Architecture (SOA), the system is deployed in a multi-tiered setup that runs on a web thin client. أعلنت شركة “آي سي إس فايننشال سيستمز ICS Financial Systems Ltd.” (ICSFS)، الرائدة في مجال أتمتة العمليات المصرفية لقطاع البنوك والمؤسسات المالية، عن الانتهاء من تطبيق نظام التأجير التمويلي (ICS Banks® Finance Lease System) بنجاح لدى شركة “الاتحاد للتأجير التمويلي” وهي شركة مستقلة مملوكة بالكامل من قِبل “بنك الاتحاد”. وكانت شركة “الاتحاد للتأجير التمويلي” قد قيّمت العديد من الأنظمة والحلول المالية، ووقع اختيارها على نظام (ICS Banks® Finance Lease System)، نظراً لسجلّه الحافل بالنجاحات في تقديم وتنفيذ حلول التأجير التمويلي التي من شأنها تطوير أداء البنوك والمؤسسات المالية وتسهيل عملياتها التجارية. ويوفر النظام مجموعة متكاملة من الحلول الشاملة لإدارة الأصول، والتي تقّدم بأعلى مستويات الكفاءة والجودة من خلال استخدام التكنولوجيا العالمية، بما يضمن تقديم أفضل الخدمات التي تتناسب وتطلعات العملاء ومتطلبات أعمالهم. وبهذه المناسبة، قال رائد العلي، المدير العام لشركة “الاتحاد للتأجير التمويلي”: “سعداء بتطبيق نظام التأجير التمويلي (ICS Banks® Finance Lease System) بنجاح، حيث تمت عملية التطبيق بسلاسة وضمن فترة قياسية بلغت 45 يوم عمل”. وأضاف: “يقدم النظام مزايا إضافية من ضمنها إدارة سير العمل (Work-Flow)، والذي يدعم عمل الشركة بفعالية، إلى جانب التجاوب مع متغيرات ومتطلبات كلّ من السوق والجهات الرقابية بمرونة ويسر، بما يساهم في تحقيق أهدافنا”. ومن جانبه، علّق روبير حزبون، المدير العام لشركة “آي سي إس فايننشال سيستمز” (ICSFS) قائلاً: “نرحب بانضمام شركة “الاتحاد للتأجير التمويلي” إلى مجموعة مستخدمي نظام التأجير التمويلي، حيث نسعى من خلال هذه الشراكة إلى تحقيق أهداف الشركة ورؤيتها في تطبيق حلول تأجير تمويلي مبتكرة لعملائها، ونتطلع إلى استمرارية العلاقة فيما بيننا وتطويرها. وأتوجه بالشكر الجزيل لفريق عملنا الذي ساهم في تطبيق هذا المشروع بنجاح”. 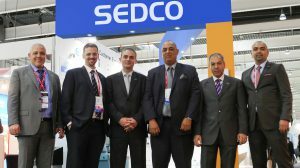 In line with its vision to provide innovative customer experience management solutions to businesses worldwide, SEDCO has introduced its smart branch concept in the Mobile World Congress (MWC) 2017, the biggest global event for mobile technology, held from 27 February – 2 March in Barcelona, Spain. GUARANTY TRUST BANK (Tanzania) LIMITED (GTBank Tanzania), has selected the awards winning Universal Banking solution ICS BANKS from ICS Financial Systems Limited (ICSFS), the global software and services provider for banks and financial institutions. GTBank Tanzania implementation project rollout is expected to be within four months starting this March. The bank will enjoy using ICS BANKS Universal Banking Suite of which; ICS BANKS Core Banking, Remittance, Trade Finance, Investment & Treasury and ICS BANKS Lending key modular systems. اعلن جرانتي ترست بنك تنزانيا عن اختياره للنظام البنكي العالمي الحائز على عدة جوائز؛ ICS BANKS®من شركة آي سي اس فايننشال سيستمز ICS Financial Systems Ltd. – (ICSFS) الشركة الرائدة في مجال أتمتة العمليات المصرفية لقطاع البنوك والمؤسسات المالية. ومن المتوقع ان تبدأ عملية التطبيق خلال شهر آذار وتستمر لمدة أربعة شهور حيث سيحظى جرانتي ترست بنك تنزانيا بالعديد من المزايا عند استخدامه لمجموعة النظام البنكي العالمي ICS BANKS و منها; نظام التمويل التجاري والنظام المصرفي الاساسي ونظام الاستثمار والخزينة ونظام الحوالات والاقراض. يوفر نظام ICS BANKS مجموعة متكاملة من نظم الأعمال البنكية والمصرفية التي تتميز بخصائصها الشاملة والمتطورة ، والتي تقدّم بأعلى مستويات الكفاءة والجودة ، بما يتماشى مع الاحتياجات المالية و مجال أتمتة العمليات المصرفية ، التي من شأنها تطوير أداء البنوك والمؤسسات المالية. ويعد نظام ICS BANKS نظاماً رائداً في استخدام التكنولوجيا العالمية لتقديم أحدث الخدمات في جميع مجالات الأعمال المصرفية. ESKADENIA Software, the leading Jordanian-based provider of world class software products and services, participated in the 1st Jordanian Pavilion at the GSMA Mobile World Congress in Barcelona, considered one of the most popular and highly attended conferences in the Telecom Industry. The extraordinary four-day event was held from the 27th of FEB till the 2nd of MAR, 2017. During the conference, ESKADENIA Software specialists provided live demos and presentations of ESKADENIA Software’s entire range of new Telecom Software Systems including the ESKA® CRM, Charging and Billing Systems. 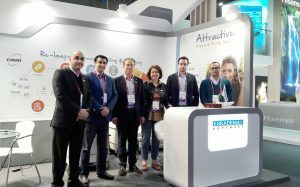 Additionally, the year’s show was an ideal networking opportunity for ESKADENIA Software and has helped open up new opportunities, and reinforce awareness of Jordanian IT products and expertise across to the MWC audience. The Jordanian Pavilion was sponsored by Manaseer Group, Zain Jordan, Luminus Group, USAID Jordan Competitiveness Program (JCP), the Jordan Tourism Board, Qattous Group, and was organized by the Information and Communications Technology Association – Jordan. A number of Jordanian entrepreneurs and startup owners had the opportunity to participate in the largest Telecom-technology gathering in the world. There they presented their services, introduced their entrepreneurial companies to mobile operators, and took part in viewing the latest technology innovations. The GSMA represents the interests of mobile operators worldwide, uniting nearly 800 operators with about 2000 companies in the broader mobile ecosystem, including handset and device makers, software companies, equipment providers and internet companies, as well as organisations in adjacent industry sectors. ICS Financial Systems Limited (ICSFS), the global software and services provider for banks and financial institutions, announced that People’s Bank of Zanzibar (PBZ), a state-owned and one of the oldest commercial banks in Tanzania has selected the multi-awards winning systems ICS BANKS® and ICS BANKS® ISLAMIC Systems. Under the patronage of the Chairman of PBZ; HON. 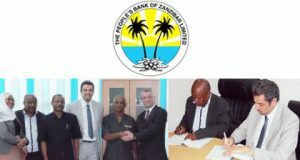 Abdurrahman M. The signing ceremony took place in Zanzibar, attending the ceremony were the Managing Director of PBZ Bank; Mr. Juma Hafidh, and the Executive Director for Business Development of ICSFS; Mr. Wael Malkawi and the Territory Manager for East Africa of ICSFS; Mr. Nidal Bashaireh. PBZ Bank launched an international tender in July of 2015, ICSFS has won over international and regional vendors competing for the deal, where it will support the banks conventional and Islamic banking services, and will start the implementation project in February 2017. ICS BANKS provides a complete suite of banking business modules with a rich sweep of functionalities and features, addressing business needs and automating accounting processes, as needed, to improve a bank’s business performance. ICS BANKS has always been a pioneer in utilising the latest technology to serve financial institutions. In addition to its embedded Service-Oriented-Architecture (SOA), the system is deployed in a multi-tiered setup that runs on a web thin client. ICS BANKS has won many awards, of which, “Best Core Banking Systems Technology Provider” at the World Finance Technology Awards that was organized by World Finance magazine, “Best Islamic Software Provider in MENA” from Global Banking and Finance Review, one of the worlds’ leading global banking and finance publications, “Banking Software of the Year” and ICS BANKS ISLAMIC has been awarded “Islamic Banking Application of the Year” at the BoICT Award that was held in Lagos – Nigeria. 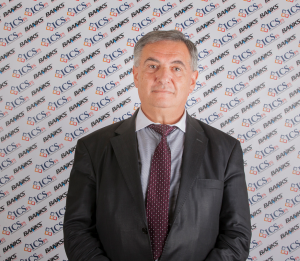 أعلنت شركة آي سي اس فايننشال سيستمز ICS Financial Systems Ltd. – (ICSFS) الشركة الرائدة في مجال أتمتة العمليات المصرفية لقطاع البنوك والمؤسسات المالية عن قيام مصرف (PBZ – People’s Bank of Zanzibar) عن اختيار الأنظمة البنكية الحائزة على عدة جوائز؛ النظام البنكي العالميICS BANKS® والنظام البنكي الاسلامي ICS BANKS® ISLAMIC System، ويعتبر مصرفPBZ من أقدم البنوك التجارية في تنزانيا وهو مملوك بالكامل من قبل الحكومة الزنجبارية. تم توقيع الاتفاقية في زنجبار تحت رعاية رئيس مجلس الادارة السيد عبد الرحمن جمبي، وبحضور كل من المدير العام لمصرف PBZ السيد جمعة حفيظ، والمدير التنفيذي لتطوير الأعمال في شركة ICSFS السيد وائل ملكاوي، والمدير الاقليمي لمنطقة شرق افريقيا في شركة ICSFS السيد نضال البشايرة. قام المصرف بطرح مناقصة عالمية في شهر تموز من عام 2015 ، واستطاعت شركة ICSFS ان تتفوق على منافيسها الإقليمين والدوليين حيث ستباشر بعملية التطبيق في شهر شباط عام 2017. يوفر نظام ICS BANKSمجموعة متكاملة من نظم الأعمال البنكية والمصرفية التي تتميز بخصائصها الشاملة والمتطورة ، والتي تقدّم بأعلى مستويات الكفاءة والجودة ، بما يتماشى مع الاحتياجات المالية و مجال أتمتة العمليات المصرفية ، التي من شأنها تطوير أداء البنوك والمؤسسات المالية. ويعد ICS BANKS نظاماً رائداً في استخدام التكنولوجيا العالمية لتقديم أحدث الخدمات في جميع مجالات الأعمال المصرفية. بالاضافة الى احتواء النظام على البنية الخدمية Service-Oriented-Architecture (SOA)، يتم تشغيل النظام على بيئة متعددة المستويات التي تعمل على شبكة الانترنت (web-enabled). وقد حصد النظام المصرفي العالمي على العديد من الجوائز, منها جائزة “أفضل مزود لتكنولوجيا النظم المصرفية الأساسية” ، وذلك ضمن حفل جوائز World Finance Banking Awards التي تنظمه مجلة World Finance ، وجائزة “أفضل مزود نظم مصرفية اسلامية في الشرق الأوسط وشمال أفريقيا من قبل شركة Global Banking and Finance Review (GBAF)،والتي تعد من أبرز المجلاّت في العالم المتخصصة في قطاع الأعمال المصرفية، وجائزة “أفضل البرامج المصرفية وحصل نظام ICS BANKS ISLAMIC على جائزة “أفضل البرامج الاسلامية المصرفية في حفل تكريم “Beacon of ICT Awards” في لاغوس – نيجيريا.